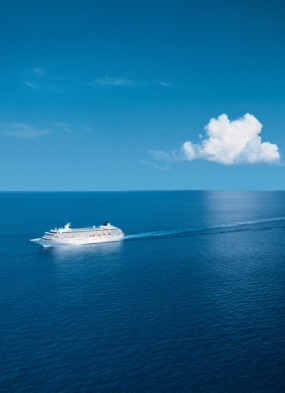 Why should you choose a transatlantic cruise? There was a time when cruising represented a small proportion of passenger shipping - for most people, hopping on a ship was a necessity to get from A to B. A significant fleet of ships regularly crossed the Atlantic from Southampton, Liverpool, Hamburg or Le Havre, to New York, with less frequent departures to the Orient, South America and Australia. Indeed folk etymology has it that the word 'posh' derives from the journey by ship to India (Port Out, Starboard Home), when those in the know would choose cabins facing away from the southern sun (before air conditioning of course - nowadays a sunny verandah is exactly what we would choose). In those days, speed was everything, and new ships would compete for the Blue Riband accolade awarded to the ship with the fastest transatlantic crossing time (the current holder being the SS United States, recently the subject of a technical feasibility study by Crystal Cruises to bring the ship into compliance with the latest standards). 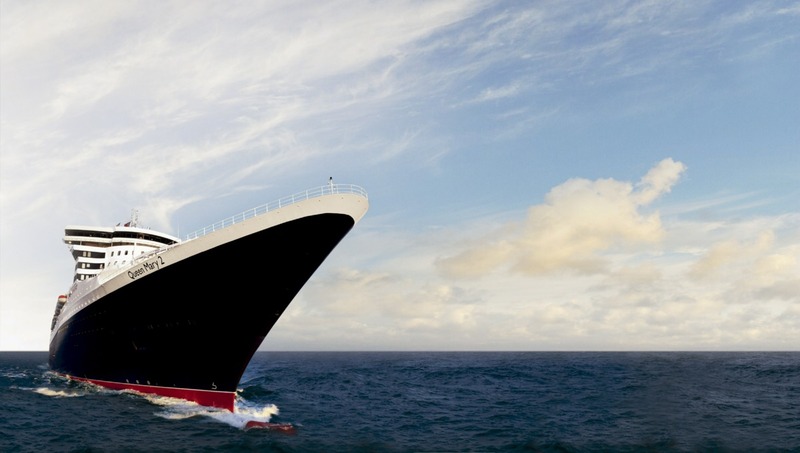 Nowadays, apart from Cunard's newly remastered Queen Mary 2 which operates transatlantic voyages between Southampton and New York throughout the year, there is no 'line voyage' in service. However there is a need to position ships from one area to another, at the beginning or end of the Mediterranean season for example, and some of these voyages have a particular appeal to those who love the rhythm and freedom of multiple days at sea. Certain cruise lines will use the repositioning opportunity to create an exciting and unusual itinerary, for example the northern transatlantic route could include the Faroes, Iceland, Greenland and Newfoundland in a true Viking journey of exploration. However this is an itinerary that needs to be operated during the summer months (we see departures in late August and September). If the cruise line wishes to keep its ships in the Mediterranean into October and November, it is more likely then to schedule a southerly routing across the Atlantic, taking in the Canary Islands before heading for the Caribbean or Florida. On such a route, you might expect seven or eight consecutive sea days, or even more on a smaller (slower) ship. So how do you choose the transatlantic journey for you? Well, you have to accept that the weather may or may not be good, so you either need good sea legs or to respond well to medication. If this is a concern, a larger ship is probably a better choice, as there will be less movement. Likewise, have a think about what you want to do on this long voyage. Take the time to catch up on your sleep and reading, or sit and watch the sea? A small ship will suit the brief perfectly. If, on the other hand, you consider it as an opportunity to get in shape, with lots of exercise interspersed with indulgent spa visits, then choose a larger well equipped ship with excellent sports facilities. If you'd like to focus on learning a new skill - maybe this is your time to get to grips with bridge, or to master the tango? - then check out what will be going on during the cruise, to make sure it meets your needs. The final reason why you might choose a transatlantic journey above any other, is that the fares are extremely attractive. This autumn you could cross the Atlantic on the lovely Celebrity Reflection for as little as £49 per day, and only a little more on Holland America's Oosterdam. There are often great rates for single travellers, for example the SeaDream single supplement is just 10% on the transatlantic voyages. If your taste is for the all-inclusive luxury of those cruise lines we designate the 'best of the best', you could go on Seabourn Odyssey for just £152 per day, or on the lovely Crystal Symphony for only £172 per day.